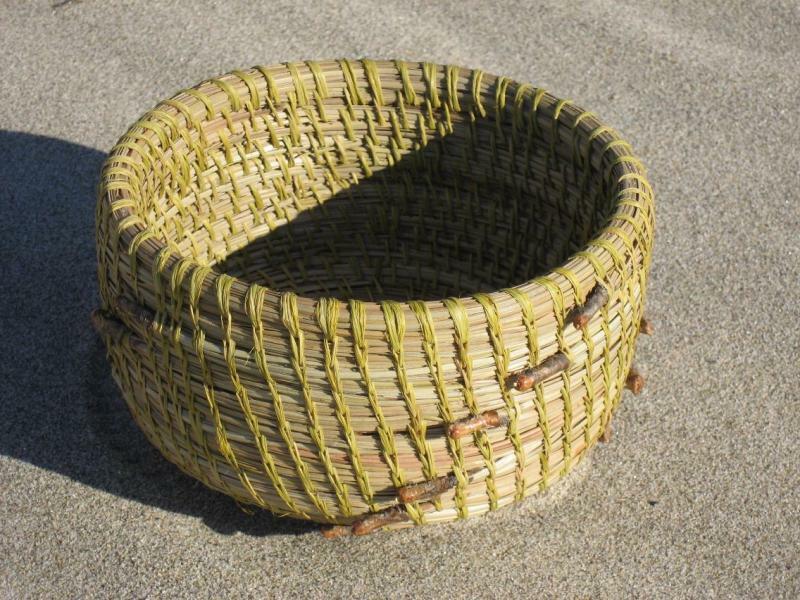 Pine needles have been used in basket making for hundreds of years. There are hundeds of types of Pine Trees and the needle lengths vary greatly. They can measure as short as 3"-4" and as long as 18"-20". The cap ends, or sheaths, hold the leaves, or needles, together where they grow out of the branches. 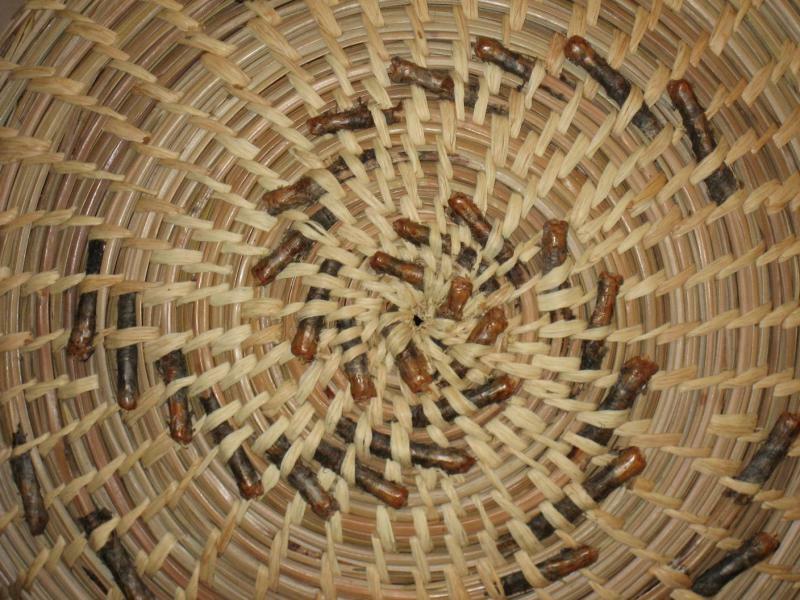 These can be left on or taken off depending on the desired effect of the finished basket. The sheaths vary in the number of needles they contain. The Torrey Pine, from Southern California, has 5 needles per sheath; creating a nice thick evenly rounded "leaf", forming a thick core, creating what I like to call a more "chunky" type of basket. The needles from the Florida Long Leaf pine, are usually 3 in number, very thin, and can be as long as 18" or more. These long thin needles lend themselves perfectly to form a slender core, requiring much finer stitching. These create a more delicate" looking basket. The materials used for stitching the needles together, known as the binder, can also vary greatly; in color, texture, length and degree of naturalness. 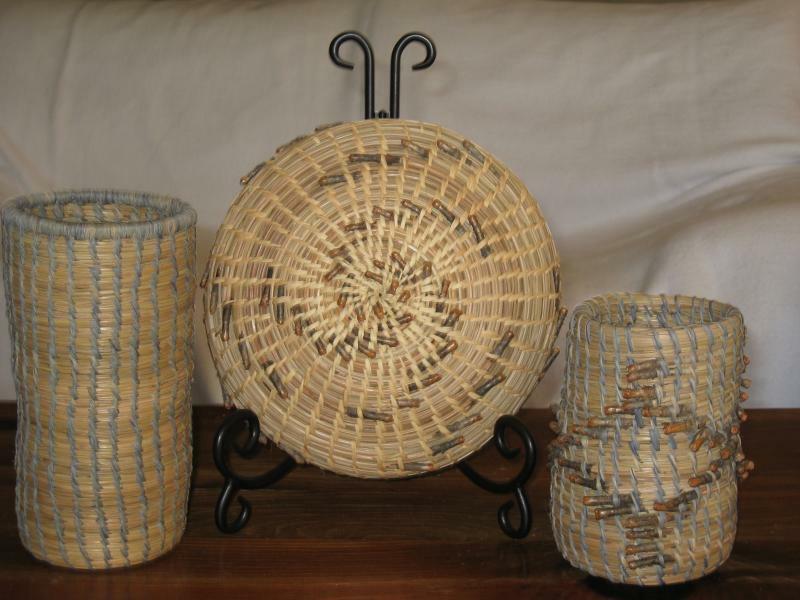 Some of the more popular binders used include raffia, articial sinew, hemp twine, and waxed linen or polyester twine. Many plants have leaves or other parts that can be split into narrow stips that make good binders, also. Copyright 2011 Kelp Kreations. All rights reserved.